Hip-hop music jumps off the streets and into the pop mainstream thanks to high-stepping, fast-rapping performers like Vanilla Ice and MC Hammer. Later on, the hip-hop scene makes room for dynamic divas like En Vogue and TLC. The independent spirit of punk rock lives on through the indie-rock ‘grunge’ sound of groups like Nirvana and Pearl Jam. But by the decade’s end, good old-fashioned teen-pop takes on a high-tech style through the sounds of Britney Spears, The Backstreet Boys and ‘N Sync, bringing teenybopper pop full circle and into a new millennium. 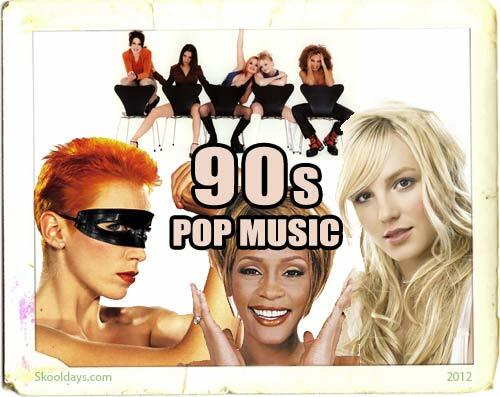 This entry was posted in PopMusic and tagged 1990 by Skooldays. Bookmark the permalink.